Another new costume.. Another fun shoot with BGZ Studios. This is the first time in my costuming life that I have planed a costume around a wig. I came across this exceptional purple wig and just had to find something fun, exciting, and hopefully dealing with pointy objects, to do with it. Ultimate Alliance 2 Psylocke became the answer. I had the costume, BGZ Studios had the camera/lights, Black Knight Martial Arts had the Dojo and pointy things. Here are a few images that came from it. Enjoy! 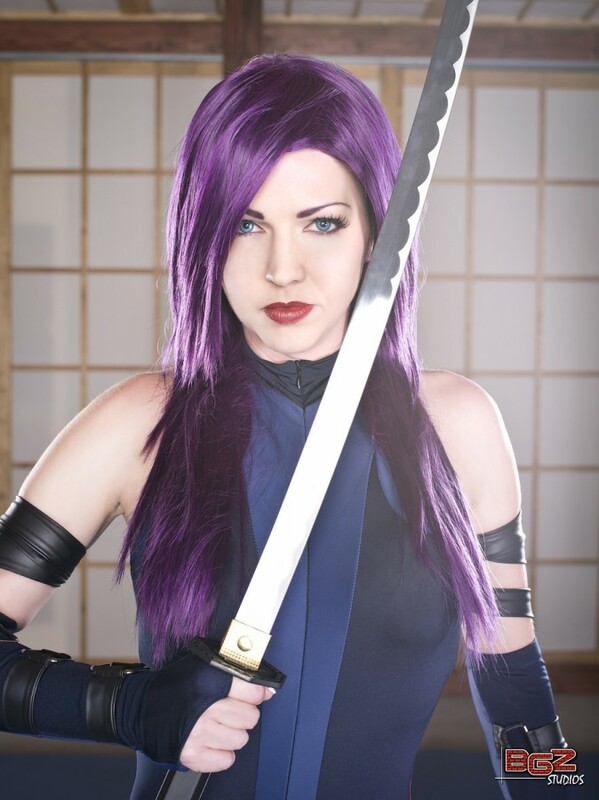 August 18, 2012 | Filed under Uncategorized and tagged with BGZ Studios, Black Knight Martial Arts, Burns, comic, Comics, cosplay, costume, costumer, Marvel, Miracole, modeling, Photography, Psylocke, Reference, Superhero, Ultimate Alliance, x-men, Xmen.